Perfect for Families - 2 min to Train Station - Entirely New! Clean, modern, excellent staff, but no swimming pool. Where to find Vaudreuil hotels near an airport? Where can I find hotels in Vaudreuil that are near tourist attractions? For those searching for a hotel or apartment near Vaudreuil, there are a number of options. 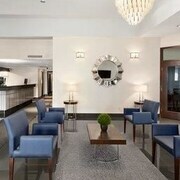 There are 5 Expedia-listed hotels within easy driving distance of the town center. 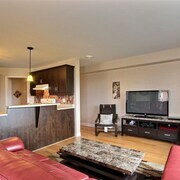 If you would prefer accommodation close to central Vaudreuil, check out the centrally located Super 8 Vaudreuil QC. 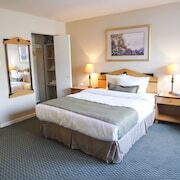 One of the small number of economical hotel choices in Vaudreuil is the Super 8 Vaudreuil QC. 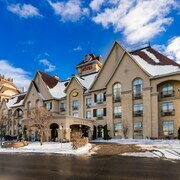 3 kilometres (2 miles) away from the heart of Vaudreuil, is the Château Vaudreuil Hôtel & Suites. 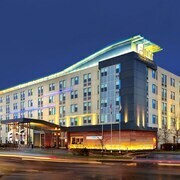 Alternatively, the Hampton Inn & Suites by Hilton Montreal-Dorval is located 20 kilometres (14 miles) away. The Holiday Inn & Suites Pointe-Claire Montreal Airport and also the Imperia Hotel and Suites are alternative Expedia-listed accommodation options around Vaudreuil. Once you have seen the sights in Vaudreuil, take the time to investigate more of Montreal - Monteregie. Visit Montreal - Monteregie's old towns and churches and also enjoy its forests, rivers, lakes and mountains. Active visitors may also try skiing, cross-country skiing and ice skating in this part of Canada. Downtown Montreal is 40 kilometres (24 miles) to the east of Vaudreuil and is home to the Musee des Soeurs Grises and Musee des Hospitalieres de I'Hotel-Dieu de Montreal. Expedia-listed Downtown Montreal accommodation options include the Auberge de La Fontaine and Ritz-Carlton, Montréal. 30 kilometres (19 miles) to the northeast of Vaudreuil, you can also stay at Rosemere, which is home to the Spa & Hôtel Le Finlandais and Aux Berges de l'Ile Garth. If you're staying in Rosemere, a couple of places to add to your itinerary are the Arena Rosemere and Place Rosemere. If you are really into sports and love watching games you might choose to visit Olympic Stadium, which is 40 kilometres (26 miles) to the northeast of Vaudreuil. Book a hotel near the action at the Loft Hotel or the Auberge Le Pomerol. Pierre Elliott Trudeau International Airport is a nearby airport for arriving in Vaudreuil. It is 25 kilometres (15 miles) drive away. If you would like to stay nearby, try the Montreal Airport Marriott In-Terminal Hotel or Sheraton Montreal Airport Hotel. What are the most popular Vaudreuil hotels? Are there hotels in other cities near Vaudreuil? 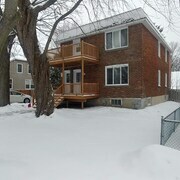 What other types of accommodations are available in Vaudreuil? 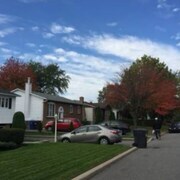 Explore Vaudreuil with Expedia.ca’s Travel Guides to find the best flights, cars, holiday packages and more!